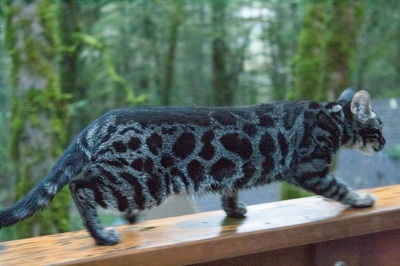 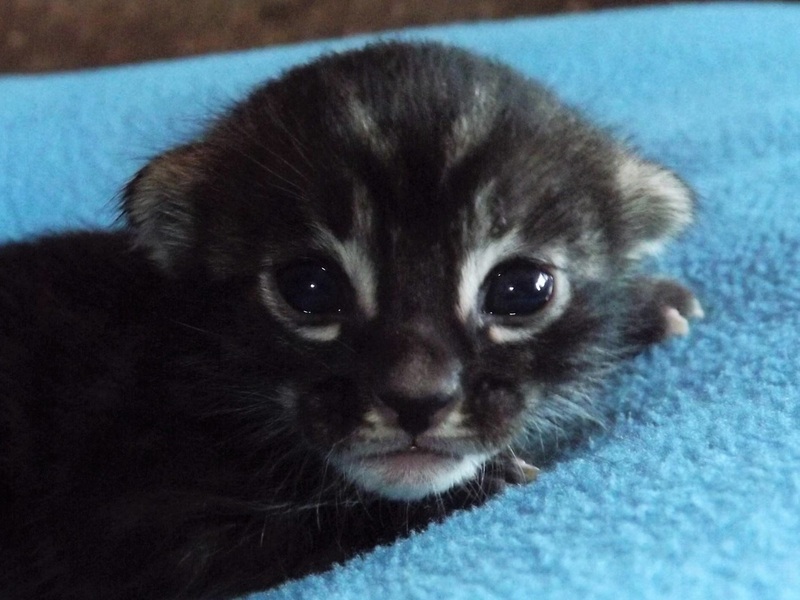 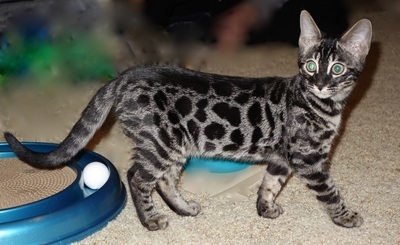 ChaoticCountry ShadowHunter - Northwest Bengal Cats Beautiful, friendly Bengal Cats and kittens for sale in the Pacific Northwest of Oregon. 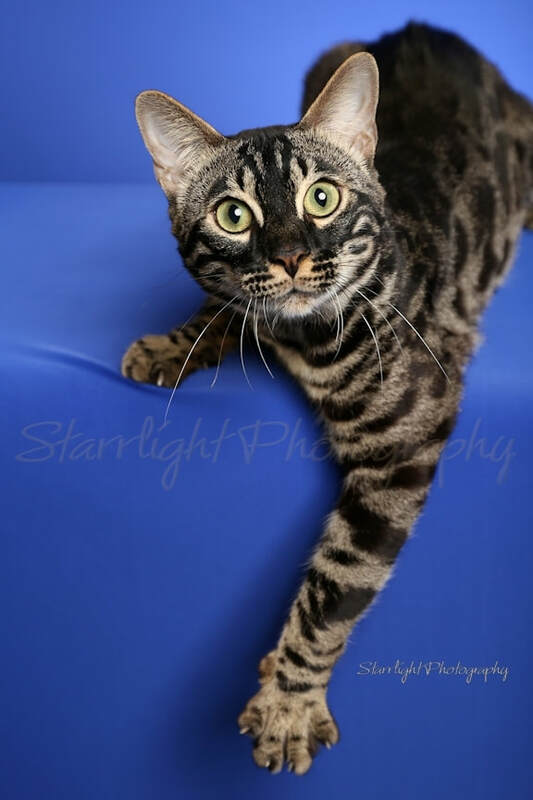 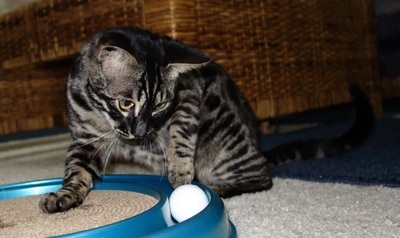 Hunter is an adorable, goofy Bengal boy. 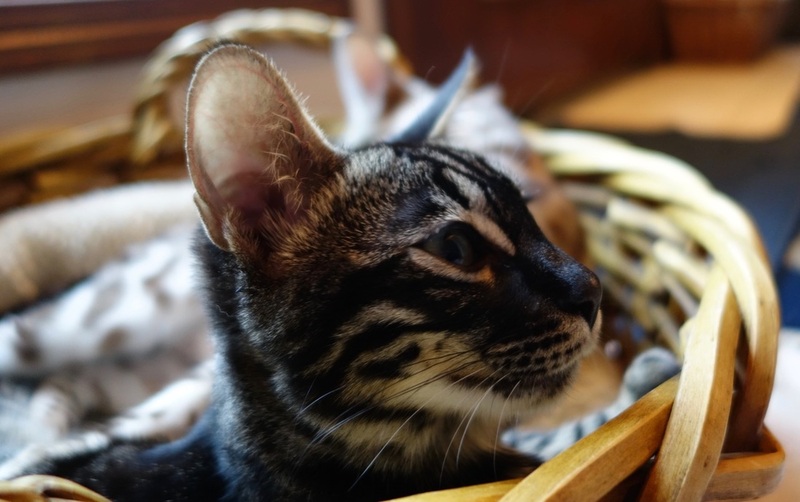 He's full of mischief, affection and is (to us) the most beautiful charcoal Bengal we have ever seen. 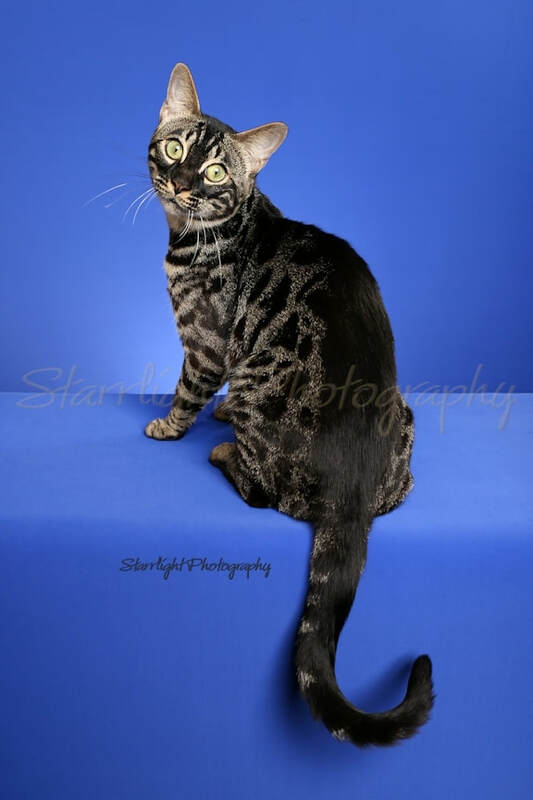 He became a TICA Champion at his first adult show in May 2016 in Monroe, WA. 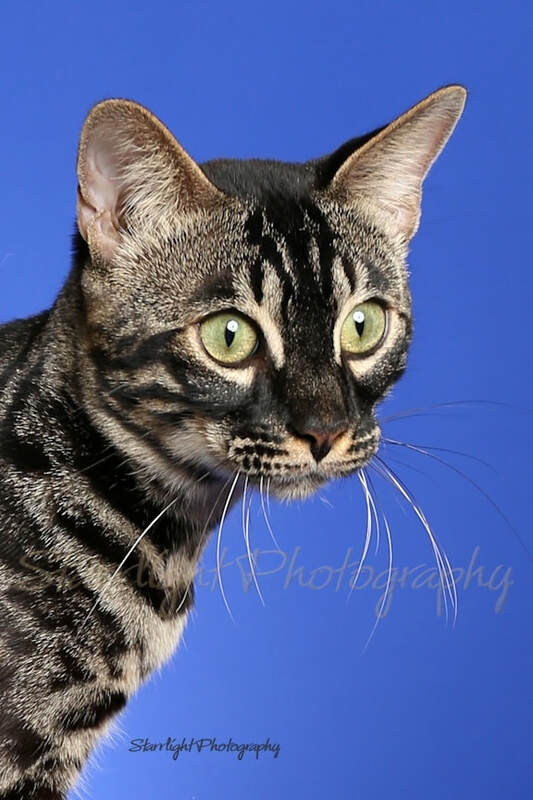 We are grateful to TICA Judge Alex Chisholm for recognizing and rewarding his confirmation and charm within a class of amazing Bengal competitors. 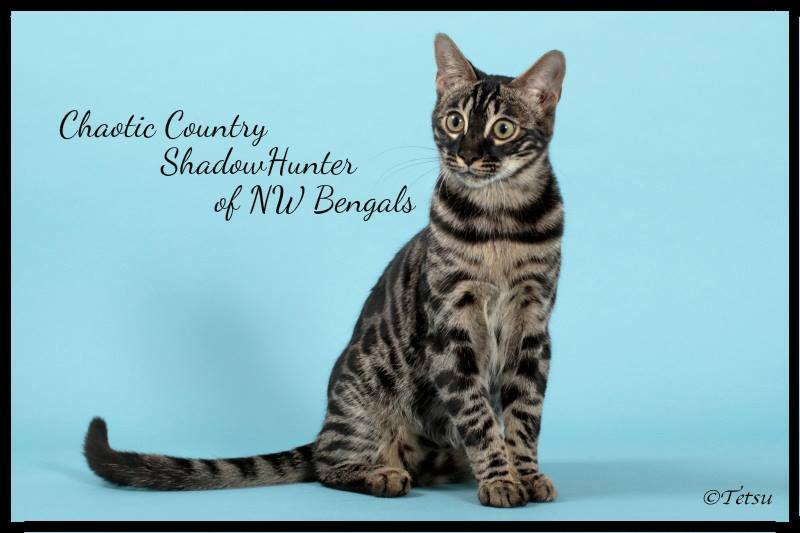 We're so grateful to Shirley Demaline and Ashley Demaline for allowing Hunter to come be a special part of NWBC and look forward to some exciting Bengal adventures in the future.